Our Salad Days & Fall Harvest Days program model gives 1,300 Gloucester public school students 2 seed-to-fork experiences each year. Now our model is spreading throughout the state through our consulting program! If you're interested in implementing Salad Days/Fall Harvest Days at your school, read the options below and click the “Contact Us” button to email us for pricing and additional information. Consultation support for organizations & agencies that work with school districts (especially our partners at FoodCorps or TerraCorps). This includes a 2-hour training and access to 100% of our resources. Full consultation support for schools. This includes access to 100% of our materials, 10 hours of training and consultation, and support throughout the first year of program implementation. If you are interested in a garden at your site, read our different options below and click the “Contact Us” button to email us for additional information. 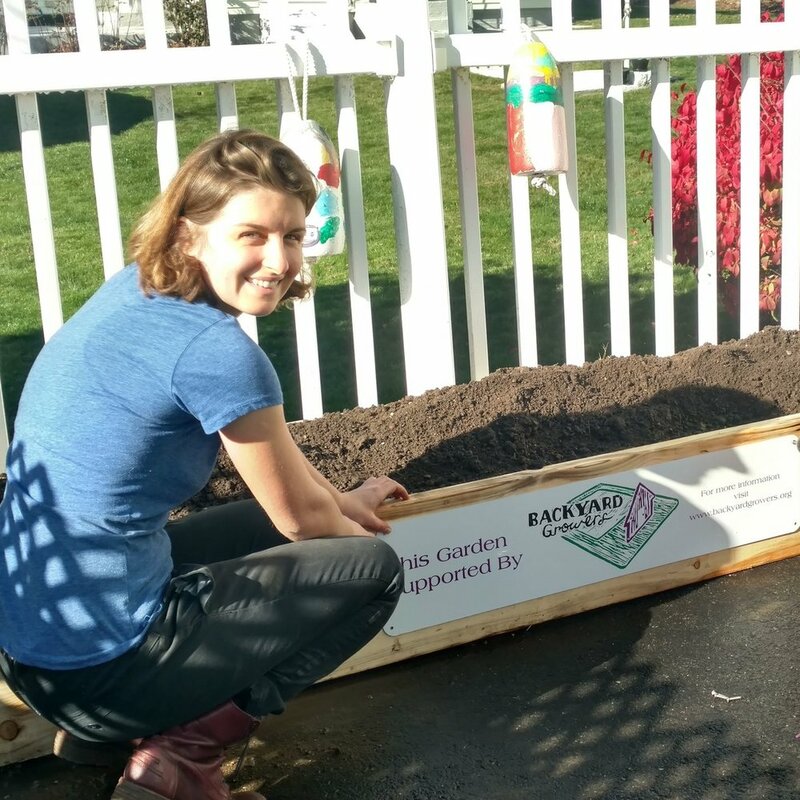 When you purchase a garden through us, it also finances a garden for a low-income family in Gloucester! This option is available to both community members and businesses or organizations throughout Essex County. We will walk you through a comprehensive resource packet, including our square foot garden guide. As your garden grows, you will have the knowledge that it is providing for both your community and a family in Gloucester! Have a garden but need help designing a plan for participant engagement, or just need help designing the garden itself? We offer consulting services for non-school organizations at a by-the-hour cost. Read below to see how we could help run a training or workshop for your Essex Co. group or organization, then click the “Contact Us” button to email us for pricing and additional information. We host trainings for similar community groups or organizations looking to improve their skills in leading garden programming.